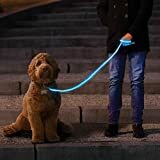 No matter whether you're a Star Wars fan, have a dog named Chewbacca, or just want to safely light up the Dark Side for better visibility while walking your furry best friend, then check out this cool new Star Wars Lightsaber Illuminated Dog Leash. 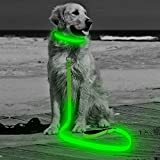 No Sith or Jedi training is required to handle this lightsaber-inspired dog leash. 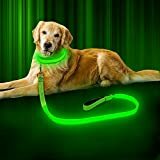 Simply attach the leash to your pet's collar, get a good grip on the neoprene hilt handle, and press the button to play the classic lightsaber activation sound and illuminate the flexible red LEDs along the lead. 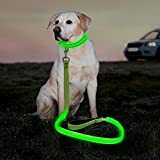 Now if you run into any other dog walkers with similar leashes, please disconnect your dogs before the lightsaber battle begins. 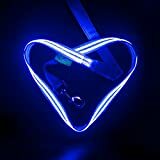 Size: 10.55" x 2.13" x 2.13"